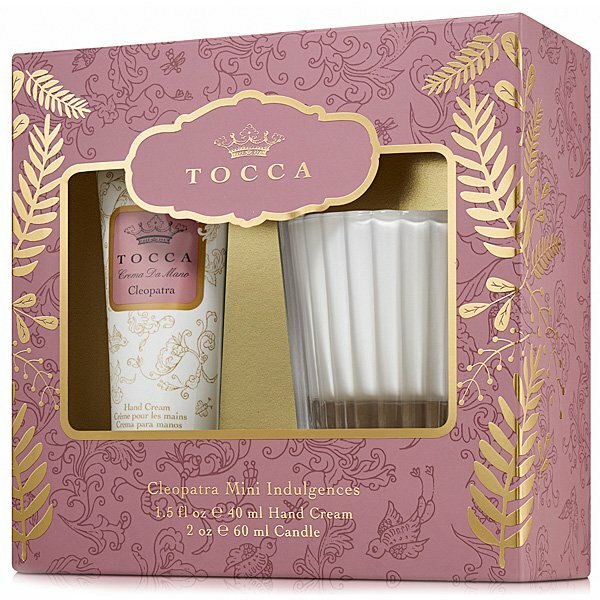 Tocca Cleopatra Hand Cream & Candle Set is a blend of cucumber and grapefruit, emitting a light and clean, yet luxuriously exotic scent for the bathroom, underscoring Cleopatra's indulgence for her milk baths. Give a little gift of indulgence this holiday. Enriched with natural extracts, the moisturizing hand creams will leave your skin feeling soft while the luxurious candle scents the mood. Includes: 1 - 1.5 oz Hand cream and 1 - 2 oz Candelina.